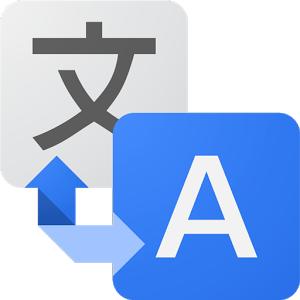 We had an exclusive preview of upcoming changes to the Google Translate app last month, and Google just announced an update that matches exactly with our information. The new version of Translate is rolling out on Android and iOS with built-in Word Lens translation via the camera and a smarter conversation mode that can listen to both languages at once. Google bought Word Lens last year, and now it's part of the official Translate app. All you need to do is hit the camera button and point your phone at a sign or something else with printed words to get an instant translation. The app currently supports English to and from French, German, Italian, Portuguese, Russian, and Spanish. More languages will come later, but this is a good start, especially considering these used to be in-app purchases in the Word Lens app. The second change also aligns closely with our post in December. Conversation mode has existed in Translate since 2013, but it was slow as hell. The two participants in a conversation would have to take turns speaking and waiting for the translation to switch between languages. Now the app will allow both people to speak in their preferred language (after being detected initially) without pressing the mic button in-between, and the app will figure out which language it's hearing. It seems like witchcraft to me, but apparently Google has it sorted. The Play Store isn't updated yet on our end, but that should change soon. As usual, we'll post the APK as soon as we have it. Update: APK Download is available below. Have a happy update Wednesday. Version: 3.1.0.RC06.83908714 (31001262) (Android 4.0.3+).